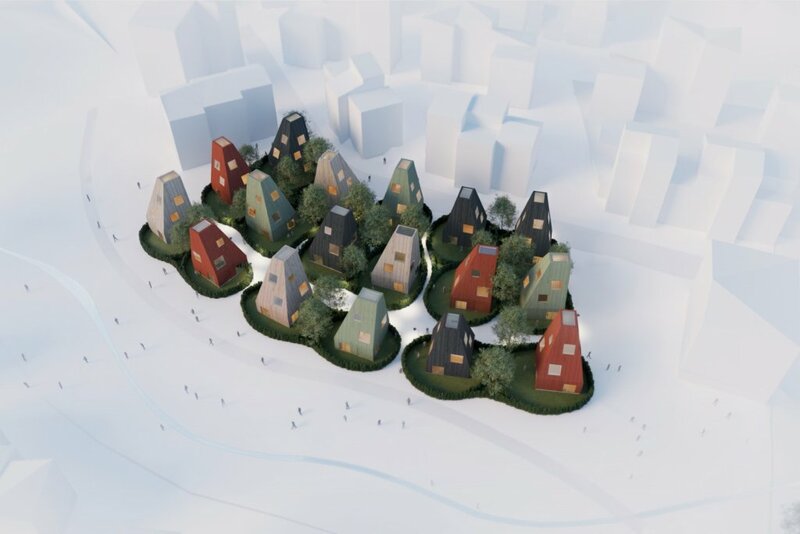 The new homes in Wendelstrand are part of a new district planned for a site at the Landvetter lake, in Gothenburg, Sweden. 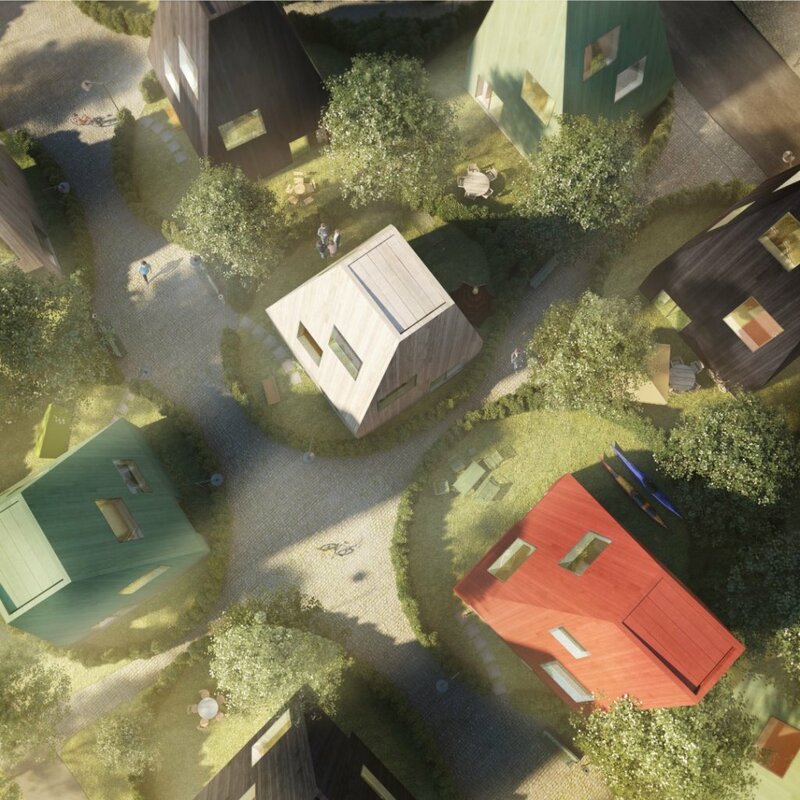 Tham & Videgård’s contribution is a solid timber version of the Vertical village scheme T&V designed for a site in Stockholm in 2009. 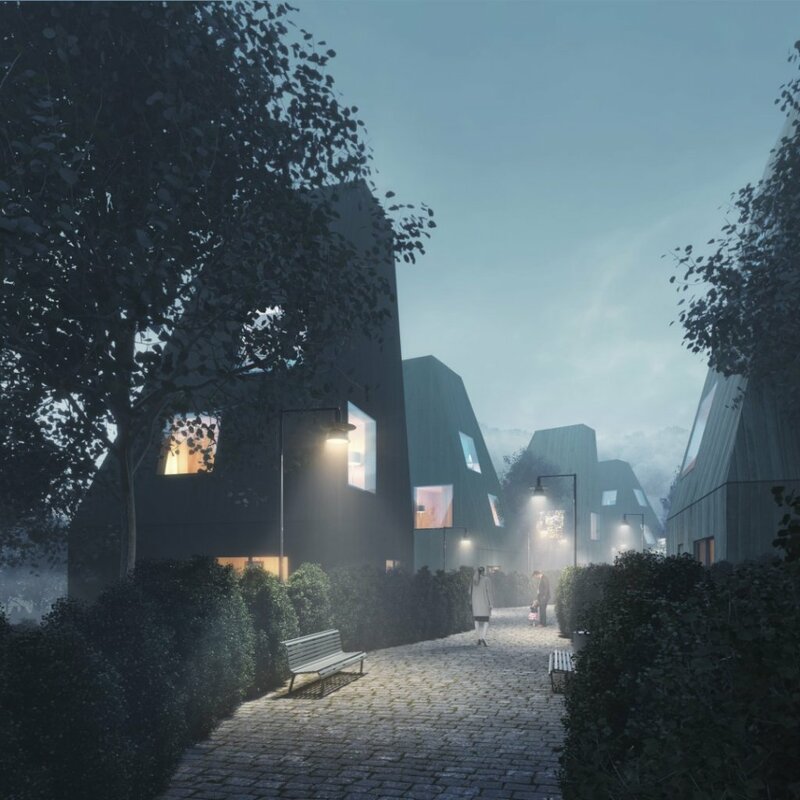 The idea is to propose an alternative to the row-house typology, offering each unit a private garden with keeping of the same efficient density as standard row-houses. This is achieved with vertical massing rather than horizontal, where compact three level homes sit in rounded plots defined by high hedges of flowering bushes. The result is a green small scale urban environment with qualities close to the historical garden cities. A fine network of meandering pathways are shaped between winter green hedges. 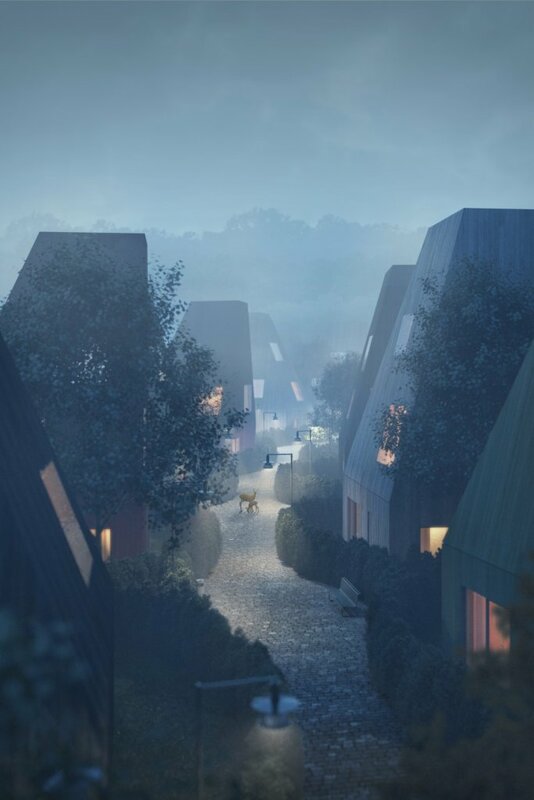 These pathways create a clear definition of private and public and connect the neighbourhood internally as well as link it out towards the surrounding area. 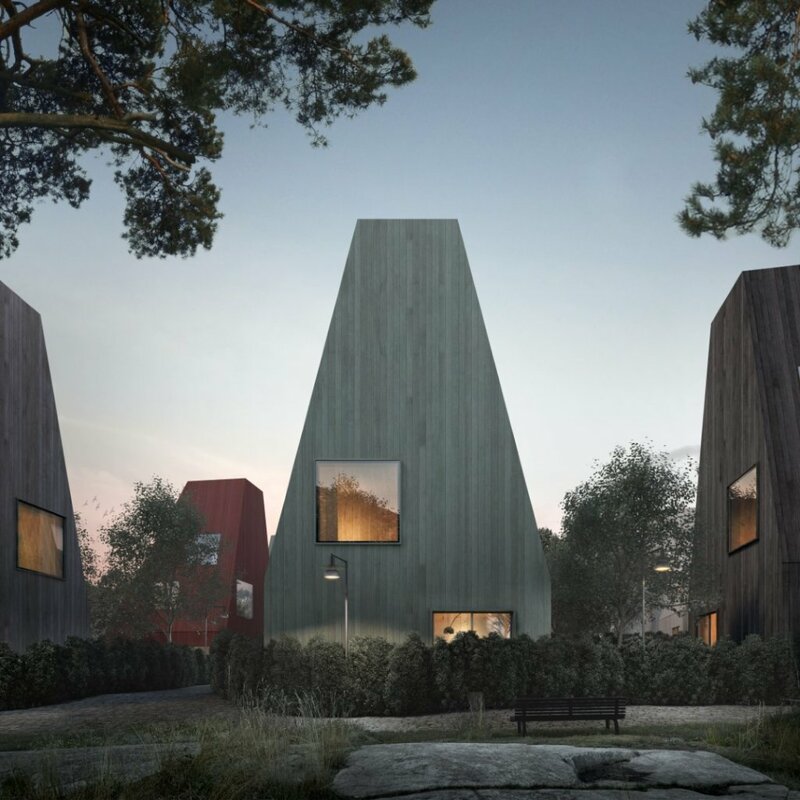 All houses are identical but given different directions and colours; Falu red, green, black and untreated natural grey sawn wood; to provide rich and varied urban spaces. The vertical organization create a sequence of living spaces for each home: a social entrance floor with a private garden protected by the high hedges, more secluded bedrooms on the upper floors with long views across the new neighborhood and natural landscape, a top floor studio with a large sky light. The entire project is planned for solid timber construction, CLT, and will comply with the highest environmental and energy standards through the use of high precision pre-fabrication and sound and robust choices of materials and fittings throughout. The scheme’s densely planned and integrated greenery and landscaping will further local biodiversity and contribute to create a long term sustainable housing neighborhood. 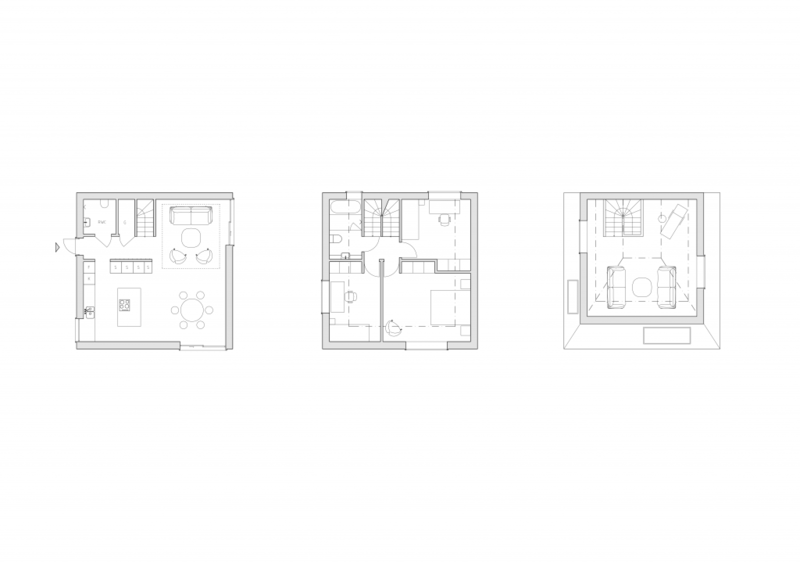 Each home has 140sqm floor area and offers 1-4 bedrooms. 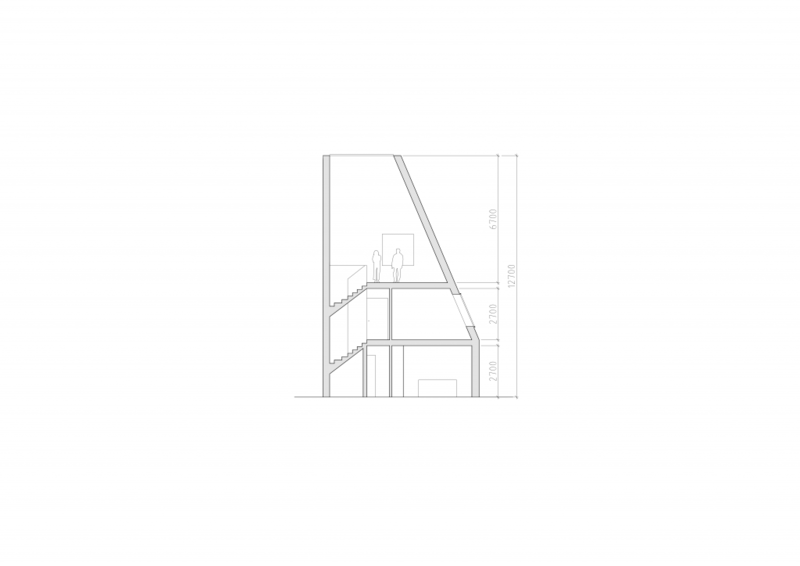 The top level studio can be fitted with an extra sleeping loft or a roof terrace.